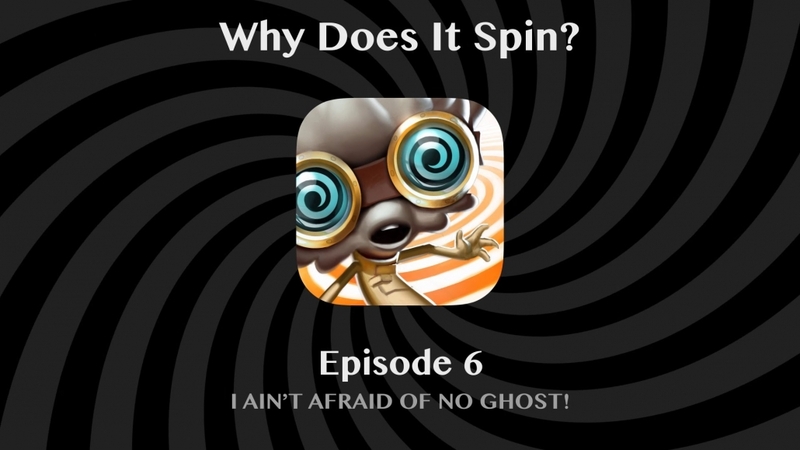 In this short interview we introduce “Why Does It Spin?” and talk about reasons to be in the app business. New Episode: I ain’t afraid of no ghost! The sixth episode shows our time attack mode. Do you think you are skilled enough to get the gold trophy? https://www.incodra.com/wp-content/uploads/2014/02/Logo.png 0 0 Darko Pavic https://www.incodra.com/wp-content/uploads/2014/02/Logo.png Darko Pavic2014-06-26 22:20:172018-05-20 15:35:28New Episode: I ain't afraid of no ghost! Beta: How our testers create ghosts for the final game! Our beta has been released around one week ago. We got a lot of positive feedback so far and the gamers enjoy to discover all the beautiful details in every particular map. As you might know, our game also contains a “Time Attack Mode”, where the player needs to beat the developers. For the beta, we have provided 3 ghosts for each map with varying difficulties, namely bronze, silver, and gold. Since we capture the trajectory of the spinship, the players can actually see their opponent. During the beta, our testers try to beat the ghosts we have captured. And here comes the challenge: We also capture the spinships of our testers giving them the chance to replace our ghosts for the final game! We are not only taking the best ghosts, but rather keep care that they are “good” ghosts (the less wall hits, the better) which are good replacement for each skill level (bronze, silver, and gold). Our testers are so motivated, that we decided to prepare a web-widget, which not only shows the ranking, but also provides an interactive way to watch and inspect the trajectories of the other players! For our blog, we have created a light version of the web-widget (see above), which does not reveal the player’s names and only contains maps 1 and 5 of each chapter (open the ranking by clicking on the upper left button). However, it is also live and instantly updated as long as the beta is ongoing! So whenever our testers have finished a map in the Time Attack Mode, you can have a look on the ghost they just created. Note, that we have highlighted our original ghosts in the ranking in yellow. You can also have a look on the distribution of finished maps in the Time Attack Mode, if you click the button in the upper right of the web-widget. Note, that the charts here contain all ghost data (including all 40 maps). Further note, that we will reveal the in-game graphics of the ghosts in our next episode. https://www.incodra.com/wp-content/uploads/2014/02/Logo.png 0 0 Lars Krecklau https://www.incodra.com/wp-content/uploads/2014/02/Logo.png Lars Krecklau2014-06-25 13:01:412018-05-20 15:36:59Beta: How our testers create ghosts for the final game! The fifth episode is about lost objects, which need to be found in the environment. Are you able to find all the objects at the first go? The fourth episode is about springs, which allow to change the spinship’s rotation direction. Would you ever enter unknown territory, if the signs around you say you shouldn’t? New Episode: Relax… and do it! The third episode is about the right timing. What would you do, if a moving crane is heading towards you? https://www.incodra.com/wp-content/uploads/2014/02/Logo.png 0 0 Darko Pavic https://www.incodra.com/wp-content/uploads/2014/02/Logo.png Darko Pavic2014-06-05 17:12:032018-05-20 15:42:35New Episode: Relax… and do it! Modeling one level in “Why Does It Spin?” is done basically in two steps as explained in one of our previous posts. In this video we demonstrate this map creation process by example and show how easy it is to create a complex map with our level tools in Blender in a few minutes. After creating outlines with Spiro splines, different game elements are playfully placed and arranged. New Episode: Death by crush! The second episode will demonstrate what happens, if the spinship gets crushed by a moving crane! https://www.incodra.com/wp-content/uploads/2014/02/Logo.png 0 0 Darko Pavic https://www.incodra.com/wp-content/uploads/2014/02/Logo.png Darko Pavic2014-05-26 15:17:462018-05-20 15:43:49New Episode: Death by crush! 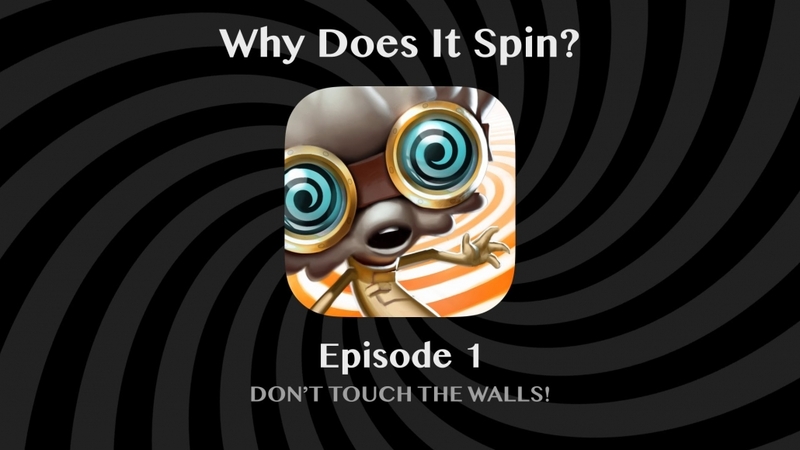 Introducing “Why Does It Spin?” Episodes! From now on, we will weekly post a short video of one gameplay feature in “Why Does It Spin?”. While waiting for the release of the game, you can kill time by watching them. Every particular episode gives more insights into the game and reveals another addicting game concept. We gently start our series with the first episode about the most important rule: Don’t touch the walls! https://www.incodra.com/wp-content/uploads/2014/02/Logo.png 0 0 Lars Krecklau https://www.incodra.com/wp-content/uploads/2014/02/Logo.png Lars Krecklau2014-05-19 17:28:162018-05-20 15:44:37Introducing "Why Does It Spin?" Episodes! 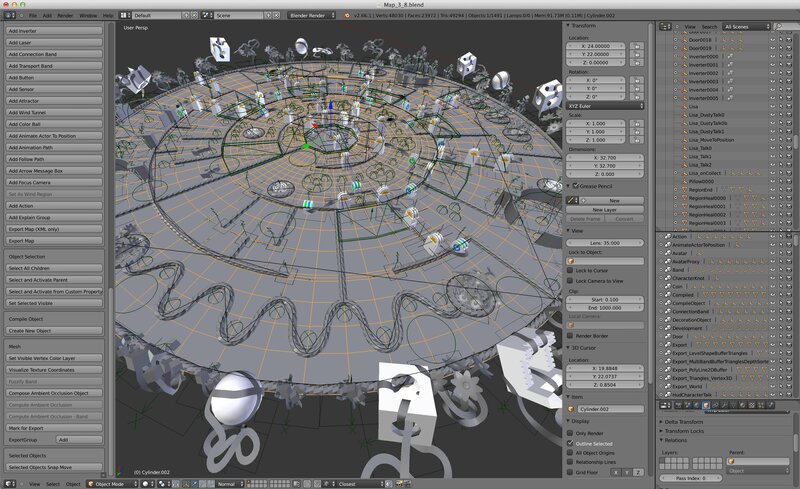 Our 3D content creation pipeline is mainly based on Blender (www.blender.org). When creating a level we start with painting the level outlines and then in the second step place all the game elements needed, selected from our 3D model database. 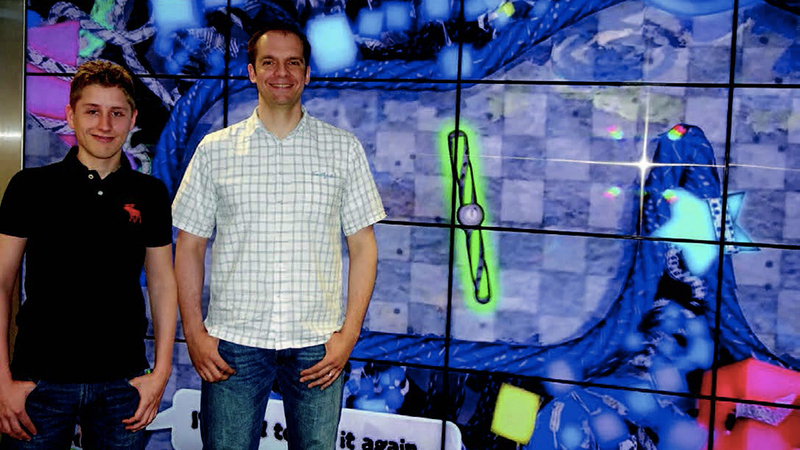 We wanted our level outlines to be as “blobby” as possible to visually fit the look of the game where a permanently rotating stick is moved around. Hence, circles and arcs are often encountered in our level design. For this purpose we have used Spiro splines (for more information on Spiro splines please check www.levien.com/spiro/). Our experience in short: Although numerically unstable, Spiro splines are very intuitive in practice and create visually pleasing results. In order to use Spiro splines in Blender we have ported the C implementation from Inkscape (www.inkscape.org) to a Blender plugin implemented in python. 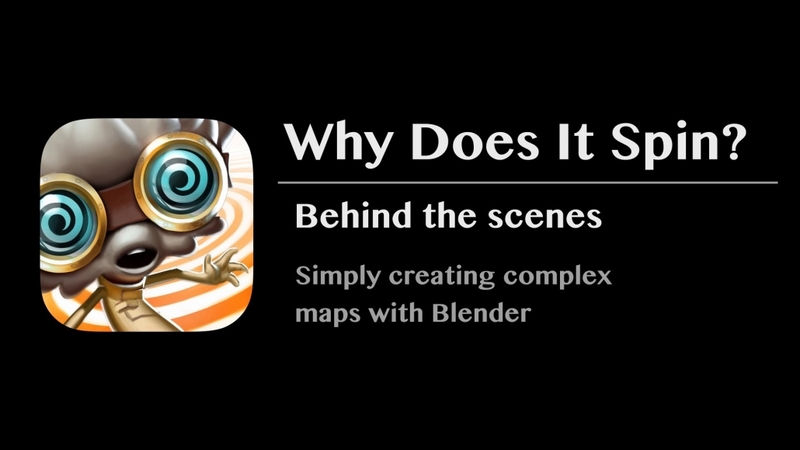 All 3D models used in “Why Does It Spin?” were also created with Blender. We have extended the Blender GUI to allow for adding different game entities (e.g., springs, gates, conveyors, etc.) along with all their specific properties. While advancing from level to level new game elements are introduced, and each chapter in “Why Does It Spin?” has its own style defined by specific decoration objects, colors and textures. 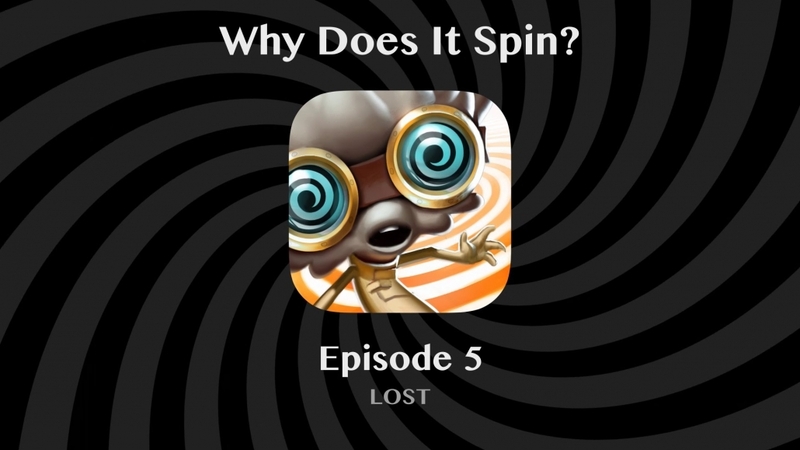 We wanted the players of “Why Does It Spin?” to have fun exploring the levels and detecting all its details besides solving the level objectives.